After months of speculation, Warner Brothers Pictures has found their man to tackle the next outing of Batman in Ben Affleck. Affleck who is hot off of directing “Argo,” “The Town,” and “Gone Baby Gone” will finally have his crack at tackling the caped crusader. According to the folks at Deadline this is a done deal, and great news for fans of the Batman on film. Ever since Ben Affleck was cast as the new Batman back in 2013, we at Shanlian on Batman have been hearing whispers from the corners of the movie world that indeed Affleck was going to direct the next outing of The Dark Knight. 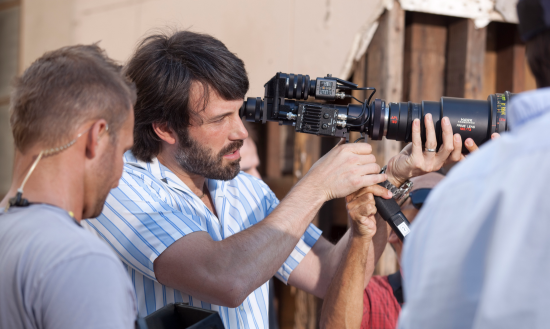 Before Affleck gets behind the camera on Batman, he will first tackle Affleck will first direct the film “Live By Night” that was originally going to film back in 2013. However, that project was pushed back so that Affleck could go film “Batman v Sup erman: Dawn of Justice” Now Warners has greenlit that project and after Affleck is done working on that film, he will move right into filming the next Batman film. This is great news, and according to that same article from Deadline, he will be working closely with Geoff Johns on crafting the story for that film. It is unclear if Johns will write the screenplay with Affleck, as it was rumored that Chris Terrio would help pen that particular script with Affleck. More of that will come as we get closer to filming, and with the Hall H presentation at San Diego Comic Con coming in just a few hours there might in fact be more news regarding this developing story.